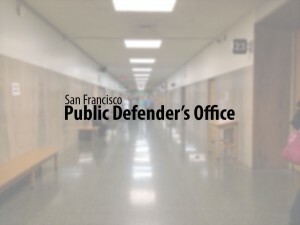 San Francisco, CA — A woman who suffered massive facial trauma in an accident while fleeing her abuser was acquitted of misdemeanor hit-and-run last week by a San Francisco judge, San Francisco Public Defender Jeff Adachi announced today. On the third day of jury trial, April 13, Superior Court Judge Garrett L. Wong entered a not guilty judgment for 37-year-old Dorothy Williams. The judge acquitted Williams and dismissed jurors after the alleged victim was incorrectly subpoenaed by prosecutors and did not come to court. The victim, who had received full satisfaction for his vehicle damages, repeatedly maintained that he did not want Williams prosecuted. Williams, a certified nursing assistant, was arrested Aug. 2, 2009 following an accident in Candlestick Point State Park, where she had been socializing with friends. According to witnesses, Williams’ boyfriend arrived and began calling her names and threatening to beat her. Fearing for her safety, Williams got into her Chevrolet Cavalier and drove away. After hitting a bump in the road, Williams’ tire blew out and sent the Cavalier careening into a wooden pole. The force of the accident knocked out Williams and embedded a piece of the pole in her car, Washington said. With its driver unconscious behind the wheel, Williams’ car drifted into an acquaintance’s truck. After regaining consciousness, a disoriented Williams drove a short distance before hearing a noise from her flat tire and stopping her car. Bystanders reported Williams appeared confused and hysterical. When police arrived, Williams provided her name and contact information. Responding officers noted Williams was bleeding heavily from the face and picking broken teeth from her mouth. A substantial amount of blood had pooled inside the car, police noted, and a dazed Williams told officers she wasn’t sure what had happened. “Her condition was so dire that paramedics at first feared moving her and treated her in the car,” Washington said. Williams was taken by ambulance to San Francisco General Hospital. Prosecutors argued that Williams left the scene of the accident without providing information to the victim. She faced up to six months in jail if convicted on the misdemeanor hit-and-run charge. “An acquittal was the only just outcome in this case. There is a world of difference between driving off to avoid one’s legal responsibility and drifting away from the scene moments after a major head injury,” Adachi said.